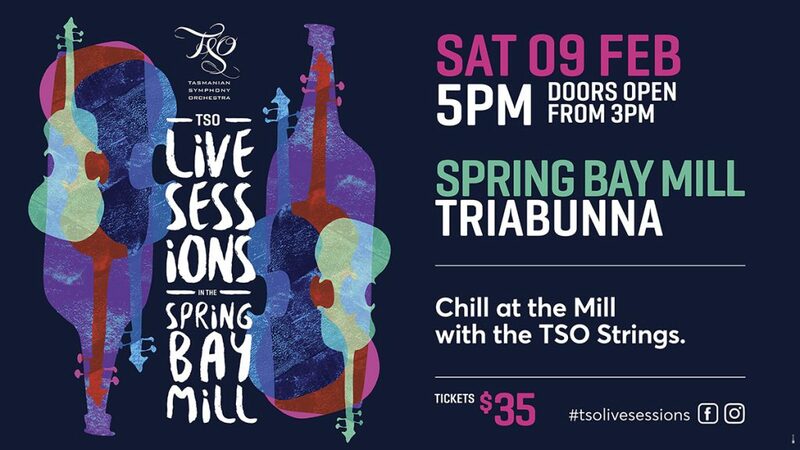 For the first time, we’ll be bringing Live Sessions to Spring Bay Mill, Triabunna. Hayato Simpson leads a string chamber orchestra made up of musicians from the TSO. If you’ve been to the TSO Live Sessions before, you know what to expect – an eclectic mix of great music performed in a laid-back setting. If you’ve never been before, come along and find out! But book early, as Live Sessions concerts sell out quickly. The outdoor site opens at 3pm with support act music, food and a fully-stocked bar. Move indoors for the TSO Live Sessions at 5pm.